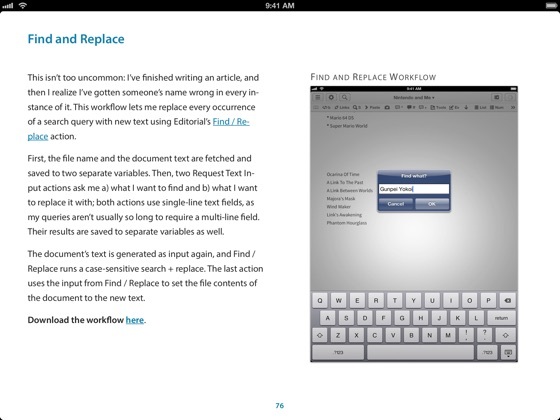 An extended edition of an article originally published on MacStories.net, "Writing On The iPad: Text Automation with Editorial" contains an in-depth review and detailed guide to Editorial, a revolutionary Markdown text editor for iPad with unique automation features. After reading this book, you'll have a new perspective on what is possible to accomplish on an iPad with Markdown and text automation. 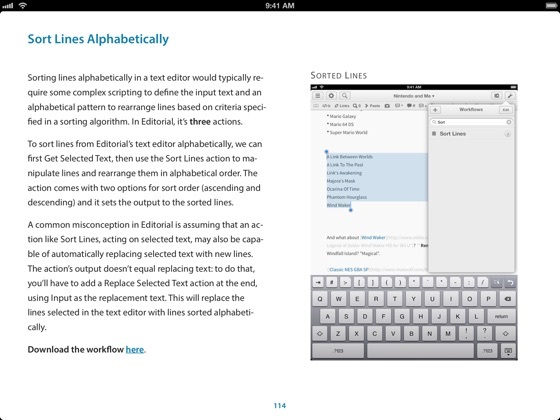 "Writing On The iPad: Text Automation with Editorial" demonstrates how Markdown and iOS power users can take their iPad productivity to the next level by crafting automated workflows and scripts to speed up writing, editing, and publishing. This book includes over 150 pages with 50 downloadable workflows and 15 demo videos showing basic and advanced automation techniques in Editorial. 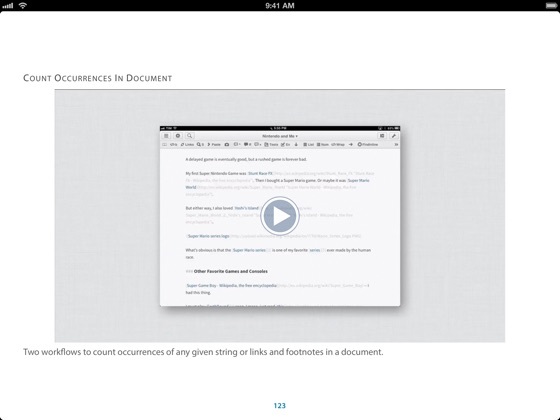 Frederico Viticci is the master of finding ways to automate your tasks on an IOS device. 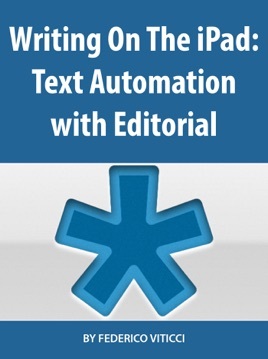 Editorial is the best app created to date that promotes IOS text production automation. Put the two together - simply priceless. Thanks Frederico for all you do for our community. I just got Editorial and I will have to admit a little overwhelmed. Although I still have a lot to learn, I feel like I have a better skill set to use Editorial more effectively. Federico Viticci does a great job explaining how to use the app. Its a great resource to keep coming back to. 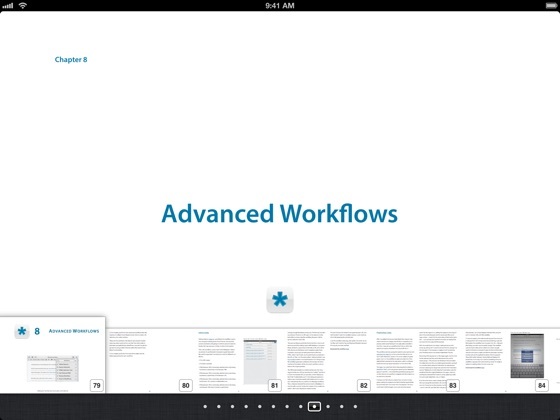 Also love the extra workflows. A bargain at twice the price. Great walk through, explanation and examples. Not only does he provide useful workflows, but explains them so you can modify and create your own, understanding how they work. If you write on the iPad, Editorial and this book should be required.